Elevating the Ford product range to new heights, the arrival of Ford Vignale heralds a new era of premium luxury for Ford customers. Each Vignale vehicle is made with the highest quality materials, with expert craftsmanship and painstaking quality checks to ensure every Vignale customers receives the ultimate prestigious Ford. Inside the same incredible level of exquisite quality is found as well as the very latest technology from Ford. The result is an impeccable car that exceeds all expectations and gives a gleaming driving experience. Inside a Vignale vehicle, plush cushioned seating is delivered throughout providing a comfortable journey. With ergonomic contours designed to hold your weight equally, coupled with hip and lumbar supports, you remain comfortable even over long distances or if stuck in traffic. The majority of the interior is made from hand crafted quality unique Windsor leather, with a variety of additional leather trims placed throughout the dashboard and door insets. Centrally located is a colour touch screen interface which acts as the primary focal point for the vehicle. This touch screen offers full control over all on-board systems and integrates Ford SYNC2 technology, allowing you to seamlessly connect to your smart device for helpful features such as audio streaming playback via Bluetooth, handsfree telephone calls on top of your usual in-car features. The Ford Vignale range have a number of unique design features offering enhanced looks and clearly identifying them as the top of the range models. 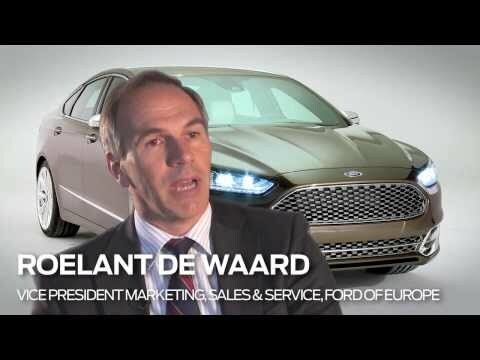 Most notably is the unique Vignale grille at the front which helps to set examples like the Ford Mondeo Vignale apart from the standard Mondeo range. Unique Vignale badges are in place on the rear of the vehicle as well as the side front quarter panels, again adding more clear notifications that this is the luxurious special edition. The wheels are also particularly appealing, with a unique alloy wheel design and special Vignale finish, giving a dominant road presence that sets you apart from the rest. Vignale is a sign of quality. Each Ford Vignale vehicle receives 100 additional quality checks over and above the already rigorous checks received by the Ford range. The high quality paintwork undergoes laser and camera testing for added scrutiny to identify any flaws before the vehicle is delivered to the Vignale customer. The paintwork is also hand polished for two hours to ensure the perfect high gloss finish. On top of the SYNC2 connectivity, cars like the Mondeo Vignale will be the first to utilise Ford's new Active Noise Cancellation Technology, which is designed to reduce road noise whilst travelling for a quieter journey. There are also pedestrian detection features to reduce the risk of accidents, particularly in built up areas. To find out more about the Ford Vignale product and the vehicles available, contact Peoples Ford today or visit our FordStore in Bootle, Liverpool or Edinburgh, Scotland.